​Swansea City manager Graham Potter was full of praise for his side’s performance despite a 3-2 to Manchester City on Saturday afternoon. The Swans were knocked out of the FA Cup quarter-finals despite going 2-0 up, with Matt Grimes and Bersant Celina scoring inside the opening half hour. However it wasn’t to be for the Championship side, as City scored three goals in the last 21 minutes to reach the last four. ​Swansea were ahead until the 78th minute, before ​Manchester City drew level and went on to win the game. While it will be the Citizens' second appearance in the FA Cup semi-finals in three years, Swansea were aiming to reach the semi-final for the first time in 55 years. The Swansea manager was full of praise for Manchester City, who are chasing a historic quadruple. Pep Guardiola’s side won thanks to ​Bernardo Silva, ​Sergio Aguero and an unfortunate own goal from Kristoffer Nordfeldt. Speaking about City, Potter said: “We met a top team that over the course of the game probably deserved to go through, congratulations to them and we wish them the best in the next round. Swansea can now turn their full attention to the ​Championship, as they focus on their final eight games. The Swans sit 15th in the table, ten points off the play-offs and 11 points off the relegation zone. 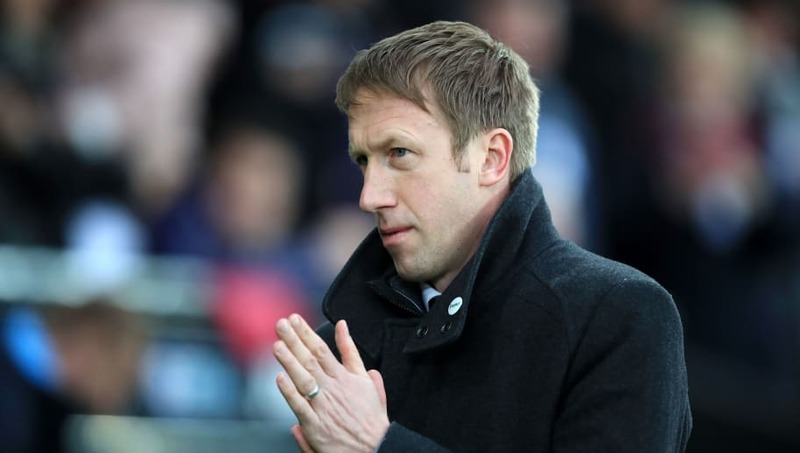 Graham Potter’s side have a fortnight before they are back in action, when they face Nottingham Forest on 30 March before before welcoming Brentford to the Liberty Stadium three days later.